Let Our Cleaning Service Do The Hard Work & Your Live 2018 Stress Free! Having a cleaning service come in once a week for 2-3 hours saves a typical family 5-6 hours of cleaning activities that are often accomplished sporadically, such as when the kids are napping, or everyone else is in bed. A professional cleaning crew like Grace Home Cleaning can get in and out, leaving behind a thoroughly cleaned home while you spend that time doing something more fulfilling (maybe taking a nap yourself!). Many of us get a little owly when our homes are in disarray. It’s normal to desire an orderly and clean house and the frustration of being unable to accomplish it can take a toll. Knowing that your reliable cleaning service is coming once a week to put everything back in order is a big load off your shoulders. No need to worry about finding time to disinfect the bathtub. Instead, let your little one spend a bit more time playing at bathtime and leave the cleaning to Grace Home Cleaning. 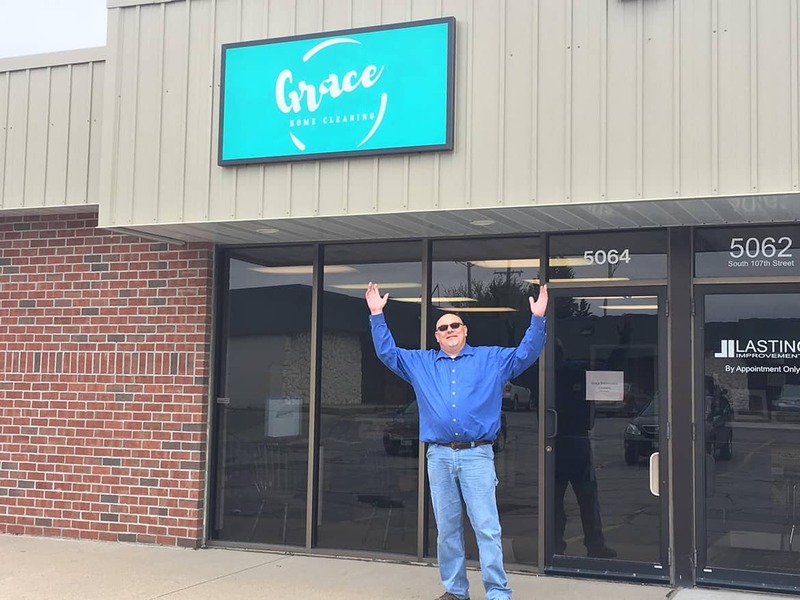 If you knew that Grace Home Cleaning was coming every week to take care of the regular chore of cleaning your home, what would you do with that time? Rather than taking out the trash, sweeping the entryway, vacuuming the carpets, cleaning the kitchen or scouring the tub, you can spend that time doing something you like to do. Hiring a professional cleaning service is a lot more affordable than you might think and when you consider the hours you can divert toward doing the things that you enjoy, it’s a definite life-changing bargain. Find out what many other families have already learned – you can have a clean home and still enjoy a little time for yourself. Resolve to find time in 2018 to do what you enjoy by letting Grace Home Cleaning tackle the dust and grime. Call to book a home cleaning today at 402-769-0774. « Putting Your Home on the Market?